If Garibaldi Park and the Gateway Arch are the welcoming arms of Federal Hill, DePasquale Square is its beating heart. The quatrefoil fountain and wide plaza were built as part of the Federal Hill revitalization effort. Back in the day, however, this was Arthur Avenue, a transverse artery of the “Italian Colony.” Tens of thousands of immigrant families packed into narrow streets and triple-deckers. 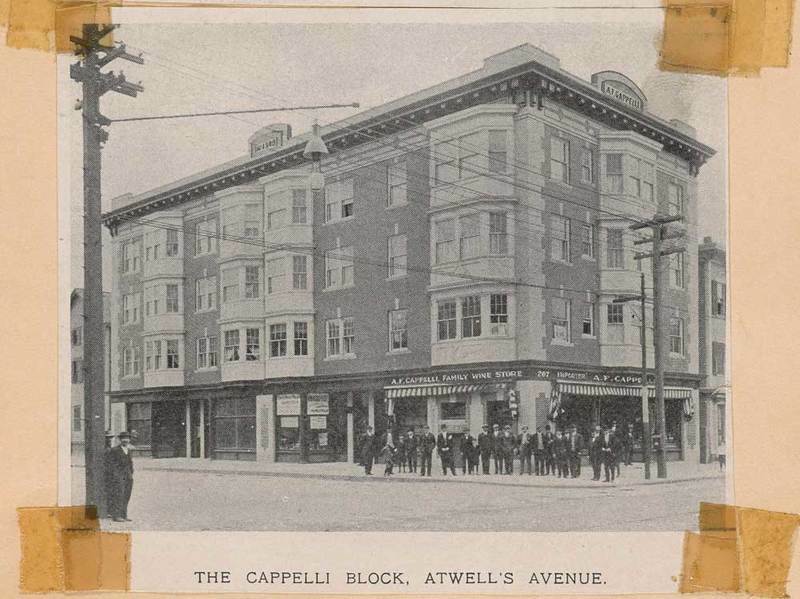 The historic building rising four stories over the square is the Cappelli Block, completed in 1909 by Antonio Cappelli, who was among the earliest Italian arrivals on Federal Hill, when Irish immigrants dominated the avenue. An unregulated building boom resulted in tight streets and small flats without plumbing—the bathhouse in Garibaldi Park was a critical necessity. Along these streets, too, were the Hill’s famous pushcarts, which sold every variety of fruit and vegetable. Imagine the laborers of a hundred years ago who struggled to build a new life here, working in the mills, living in small tenements without water or light, and doing their daily shopping amid the vendors who stood along these storefronts. 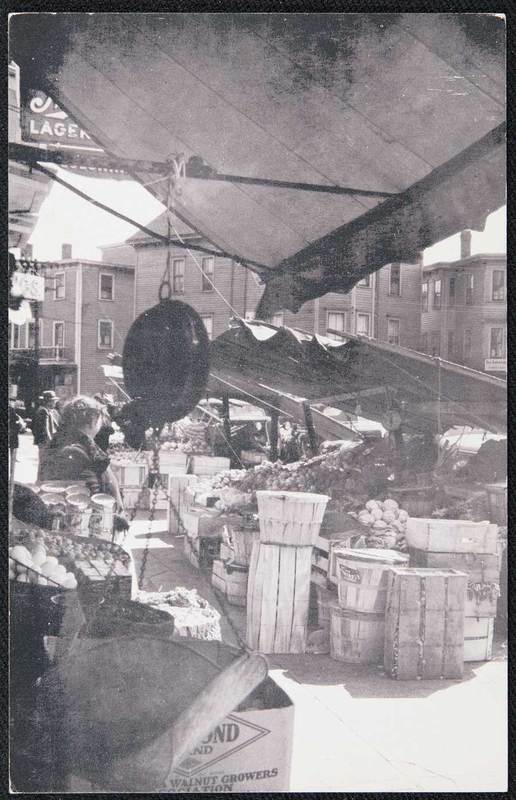 Street Vendors on Arthur Avenue ~ Source: Rhode Island Collection, Providence Public Library. Judge Luigi DePasquale: Judge Luigi DePasquale (1892-1958) was the son of immigrants. He served as a state representative and District Court Judge. 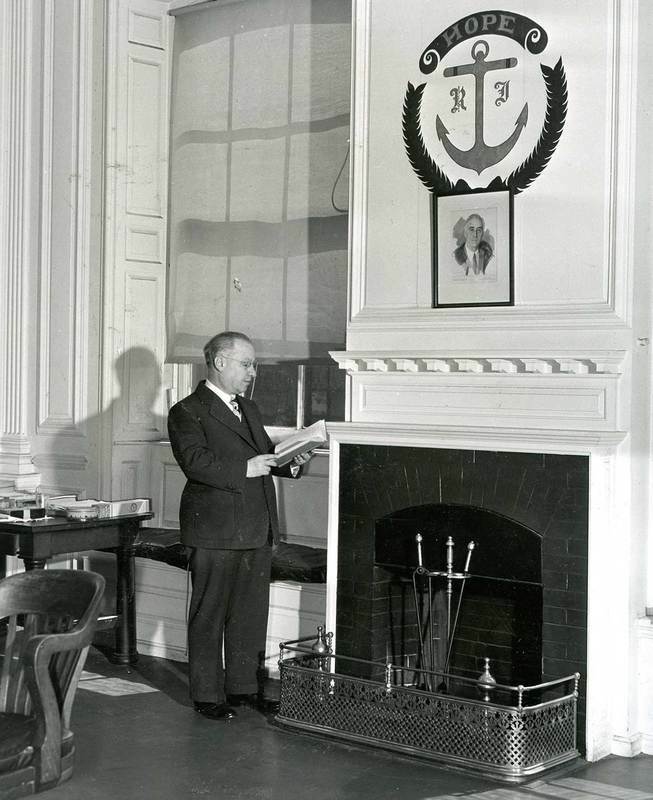 His grandson is former Providence mayor Joseph R. Paolino, Jr. ~ Source: Rhode Island Collection, Providence Public Library. Maria Pulcini talks about shopping on Federal Hill in her childhood. The June 19, 1978 interview was made as part of Rhode Island College’s Federal Hill Project. Take a walk through the bakeries and specialty food shops around DePasquale Square and along the avenue. Many of them have been here for decades. Taylor M. Polites, “DePasquale Square,” Rhode Tour, accessed April 21, 2019, http://rhodetour.org/items/show/153.